Features "a long spin Power Band design. Lightning fast ball bearing system, IntelliGap axle system (with a simple twist, adjust your yoyo gap to fit any string, old or new! Bonus: no little parts to lose or replace." 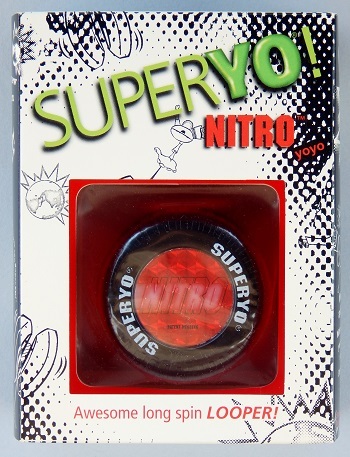 Shaped a lot like the former SuperYo Wheel yo-yo.